American Law Sources Online - California - Links to California law. California Attorney General Opinions - The California Attorney General, as the chief law officer of the state, provides legal opinions upon request to designated state and local public officials and government agencies on issues arising in the course of their duties. California Case Law: 1934-Present - California case law from 1934 to the present provided by FindLaw. Cases contain official citation and page numbers. Browse and search for cases from the California Court of Appeal or from the California Supreme Court. California Code - California law consists of 29 codes covering various subject areas, the state Constitution, and statutes. This site allows you to display the table of contents for each Code and to search each Code by keyword. Includes: Business and Professions Code, Civil Code, Code of Civil Procedure, Commercial Code, Code, Education Code, Elections Code, Evidence Code, Family Code, Financial Code, Fish and Game Code, Food and Agricultural Code, Government Code, Harbors and Navigation Code, Health and Safety Code, Insurance Code, Labor Code, Military and Veterans Code, Penal Code, Probate Code, Public Contract Code, Public Resources Code, Public Utilities Code, Revenue and Taxation Code, Streets and Highways Code, Unemployment Insurance Code, Vehicle Code, Water Code, Welfare and Institutions Code. California Code of Regulations (CCR) - A regulation is a rule adopted by a state regulatory agency. The CCR contains these rules. California Constitution - Full-text, hyperlinked. California Department of Justice: Office of the Attorney General - This site makes available the full text of active measures submitted for preparation of a circulating title and summary, written opinions for state and local public officers on legal issues arising in the course of their duties, and information on consumer issues, crime and violence prevention, and public safety topics. California Discovery and Privilege Law - This site was posted to the present location in November 1999. The legal content is based on the Civil Discovery Case Law Outlines first prepared by Commissioner Richard E. Best in 1980 and used in continuing legal eduction programs since then. The balance of the site is the response to requests and suggestions to inform litigants of practice and procedures related to civil discovery. California Franchise Tax Board - The department that collects state personal income taxes and bank and corporation taxes for the State of California. Provides California tax forms. California Harbors and Navigation Code - Links to California Harbors and Navigation Code sections. Also available from California Legislative Counsel. California Home Page - Organized by the State Librarian, Stephen P. Teale Data Center, and the California State Home Team. California Innocence Project - A law school clinical program at California Western School of Law dedicated to releasing wrongfully convicted inmates and providing an outstanding educational experience to the students enrolled in the clinic. California Judicial Branch - Official site of the Judicial Council of California. California Law Revision Commission - The California Law Revision Commission was given responsibility for continuing substantive review of California statutory and decisional law. California Legislature Bill Information - The full text of bills, resolutions, and constitutional amendments, and their status, history, votes, analyses, and veto messages are available. Searchable bills introduced since 1993 session in both the Senate and Assembly available in pdf and html. 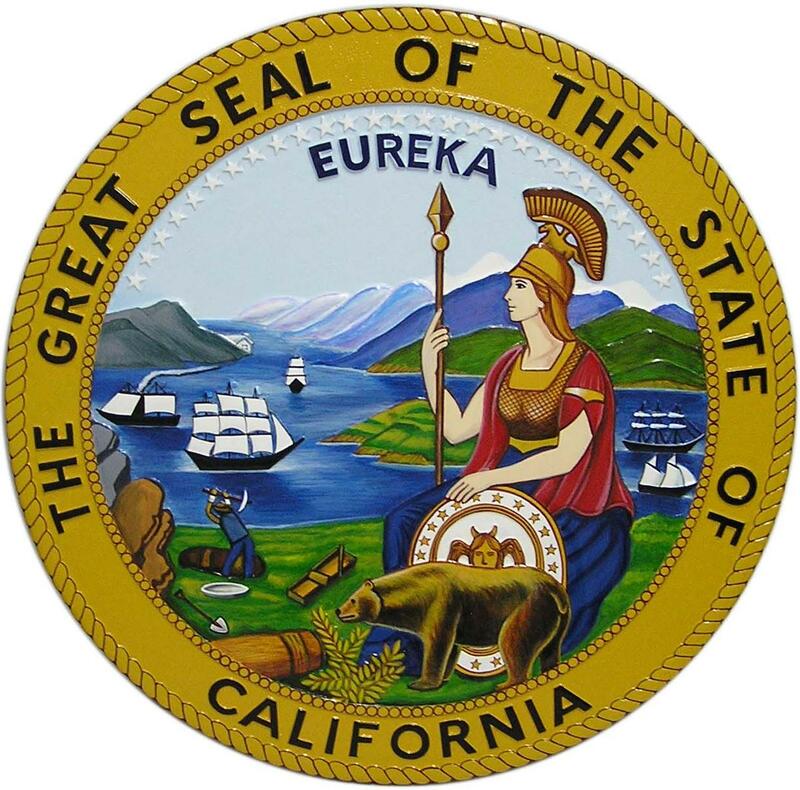 California Legislative Counsel - Provides legal services relating to the legislative process to assist the Legislature, the Governor, and other state officers. California Legislative Information - Official site for California legislative information. California Local Codes and Charters - The UC Berkeley IGS Library maintains a large depository collection of local ordinance codes and charters issued by California cities and counties. California Municipal Codes and Ordinances - FindLaw's directory of California Municipal and County Codes and Ordinances . California State and Local Government on the Net - Piper Resources guide to government sponsored California Internet sites. California State Constitution - Links to the California State Constitution. California State Labor Code - Also see: Protecting Workers' Political Rights - Section 1101-1106. California Secretary of State - Internet point-of-contact for elections and voting, political reform and campaign financing, state archives, corporations and limited partnerships, notary public, and more. California State Assembly - Legislation, legislators, caucuses, announcements. California State Legal Materials - Extensive listings from Cornell Law School. 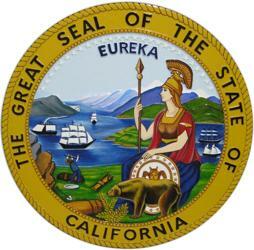 California Statutes - Search - California statutes are Chaptered Bills. A bill is chaptered by the Secretary of State after it passes through both houses of the Legislature and is signed by the Governor or becomes law without the Governor's signature. California Unemployment Insurance Appeals Board - Conducts hearings of cases concerning claims for unemployment and disability benefits. California Voter Foundation - A non-profit, non-partisan organization established in 1994 to advance new technologies that improve democracy by providing the public with access to the information needed to participate in public life in a meaningful way. Discloses campaign finance data and text of propositions. Checklist of Significant California and Federal Consumer Laws: Legal Guide M-1 - Legal guide published by the California Department of Consumer Affairs in December 1995 provides links to major consumer-related California and U.S. Federal statutes and regulations. DailyJournal - Legal news and resources, verdicts and settlements, public records searches, California Directory of Attorneys, profiles of over 2500 judges, Daily Appellate Report, Appellate & Supreme Court Opinions, Pending CA Supreme Court Cases, California Legislative Statutes, California Court Rules, California Court Forms, Pending U.S. Supreme Court Cases, Federal Opinion Sites, and more. HotDocs - Subscription required. In California, includes: California County Forms (both Northern and Southern County forms), California Federal District Court Forms: Central District, California Federal District Court Forms: Northern District, California Federal District Court Forms: Southern District, California Judicial Council Forms. How to Compile a California Legislative History - Provided by Hastings Law Library. Law.com California - Provides a complete daily briefing for California lawyers and their clients, including content from The Recorder, the daily legal newspaper of California. Legislative Analyst's Office (LAO) - Provides fiscal and policy advice to the Legislature. The office carries out this legislative oversight function by reviewing and analyzing the operations and finances of state government. Legislative Counsel of California - Maintains this official site for California legislative information. Major sections include Today's Events, Bill Information, California Law, Your Legislature and Legislative Publications. Matthew Bender Practice Guide: California Contract Litigation - Offers practical guidance on legal and practice issues that arise in general contract litigation. Office of Administrative Law (OAL) - Enforces laws that allow California state agencies to adopt rules and regulations. OAL reviews proposed administrative regulations before they go into effect. OAL oversees publication of the California Code of Regulations, the California Regulatory Notice Register, and other publications. Office of the Attorney General - Represents the people of California in civil and criminal matters before trial, appellate and the supreme courts of California and the United States. This webpage last updated on Wednesday, January 6, 2016 2:59 PM.